In INFINIDAT marketing materials, you often see the phrases “a new enterprise storage array needed to be developed from the ground up” or “storage technology today requires a new way of thinking.” But what does this really mean? Here are the four fundamental principles INFINIDAT has put into practice in order to build a storage system that can truly handle data at scale in a way that is fast, reliable and inexpensive. INFINIDAT has three controllers that operate in a mesh-like architecture to address up to 480 nearline-SAS drives in our system. 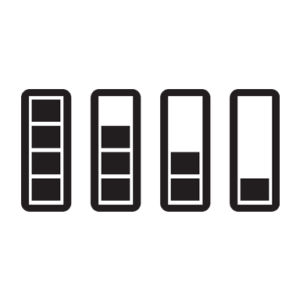 Legacy systems typically have one controller for every four or eight drives. Some advanced systems such as IBM/XIV or scale out systems have one controller for every 12 drives. 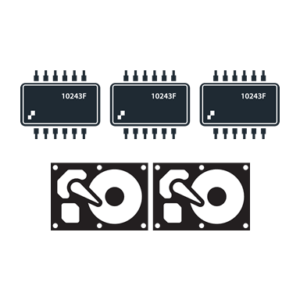 Having three controllers that each can manage the full 480 drives is unprecedented. INFINIDAT looked at this need and adapted the linux kernel to enable each system to have connectivity to every drive through an infiniband network. In addition, the data in the InfiniBox array is widely dispersed throughout all the disks and due to its architecture all CPUs are engaged in massive parallelism to provide data quickly to the application requesting it. The array also has incredibly fast rebuild times for failed drives, as low as 15 minutes to rebuild two failed 6TB drives. Providing a higher server to disk ratio enables a tremendous cost benefit for our clients. By having a lot fewer, expensive components, CPUs, network adaptors, etc., in the array generates a much lower bill of materials and lowers the overall system costs. RAID was invented in 1987 as a method of protecting data spread across a number of disk drives. Over the years there have been a number of RAID algorithms that have been used to provide higher levels of protection, however they all utilize a good percentage of the disk capacity to do so. This has led to today’s RAID being very inefficient. The InfiniBox is designed to maximize usable capacity to drive greater storage efficiency. New storage efficiency technologies such as compression and deduplication mask the lack of storage efficiency that is offered by traditional storage arrays. Traditional storage arrays are only able to deliver a certain amount of capacity as they try to meet certain reliability characteristics. Traditional systems deliver these reliability characteristics by using RAID and / or replication technologies. These technologies eat away at useable storage capacity in an effort to provide higher data availability. In some cases RAID can eat up as much as 40 to 70 percent of the overall capacity forcing customers to buy more and more disk to meet their capacity needs. More and more capacity means more and more money for the client. The way the INFINIDAT “RAID-like” technology stripes the data throughout the system, it is able to provide 99.99999% data availability for over 2.7 PB of usable capacity, is 72% drive efficient overall, and requires no hot spares in the system. It is important to note that this 72% drive efficiency includes data protection, protection for silent corruption, spare capacity, management of system, metadata and logging. As data continues to grow, clients need the ability to be able to take advantage of the higher capacity drives that the disk drive vendors are manufacturing. However, performance and resiliency limitations prevent them from mass adoption. 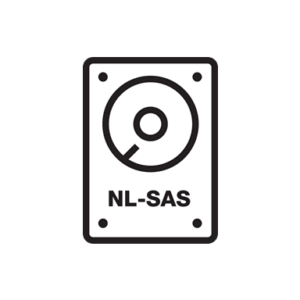 This leads us to another characteristic that INFINIDAT has implemented which is the ability to take advantage of is high capacity near-line SAS drives. Hard disk drive manufacturers will continue to develop newer, higher density drives well into the future and the economics behind putting more usable capacity in a single rack helps with overall costs — system costs, component costs, and power cooling and floor space costs. By not tying our “RAID like” functions with storage capacity, we can decouple capacity from performance and reliability. Our system is designed such that it will be able to take advantage of 20+TB drives when they are available and our stretch goal as a company, is to be able to provide 50PB of capacity in a single rack by 2020. The most cost effective way to build an array that is able to meet the performance, reliability, scale and price point that clients need is to have an effective combination of SSD and HDD. INFINIDAT has put a great deal of time into understanding data profiles and the performance requirements of these data profiles, across a wide variety of use cases. INFINIDAT has the most cost-efficient blended SSD-to-HDD ratio in the market, in order to provide optimal performance. The InfiniBox system can provide applications with tier 1 performance using only 3% SSD, keeping in mind that SSD is still 10x the cost of HDD. Alternative solutions require increasing ratios of SSD, sometimes by as much as 2x as HDD capacities increase. In hybrid arrays, some vendors try to sell expensive tiering software on top of virtualization appliances (VNX or SVC) to try to ensure sustained performance. As data gets “stale” it is migrated to slower spinning media, however recall times for some of this data can be very slow. As a fallback for guaranteed high performance, some competitors require 100% SSD. This is very costly and not necessary for 100% of the data. So, when we talk about the new thinking required to build a system that can store and manage data at scale with a high degree of reliability and performance, this is what we are speaking about. With over a man-century of experience within our product development team, our goal is to push storage into the 21st century. 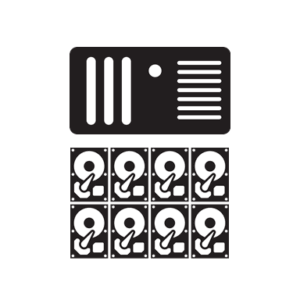 INFINIDAT delivers a storage system that handles data at massive scale, greater than 2.7TB per single 19” rack (without compression), sustains 99.99999% data availability and can deliver over 1M IOPs with extremely low latency. Aren’t these the requirements of the storage array of today?